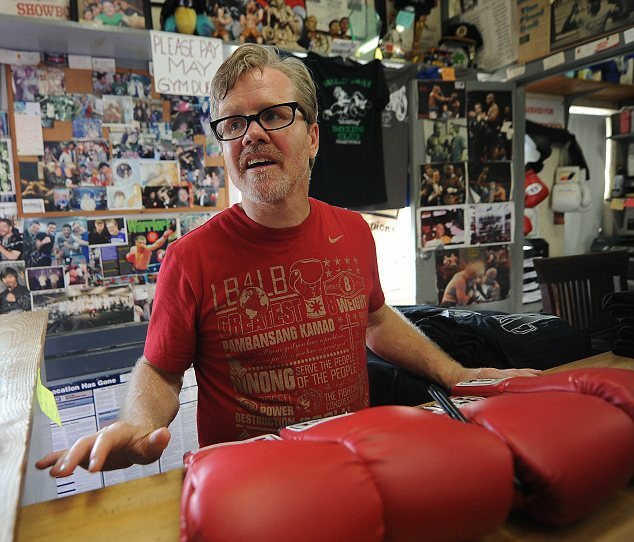 Freddie Roach, fabled trainer of Manny Pacquiao, fears that the chance has been lost of Floyd Mayweather ever taking on his man in the richest fight in boxing history. The PacMan versus the Money Man is still the fight the whole world wants to see but Roach doubts it will happen now Mayweather is so close to ending his career undefeated. 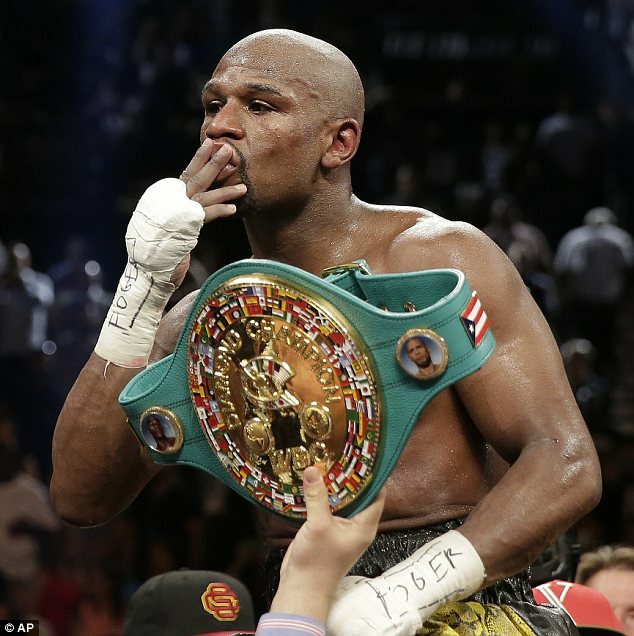 He says: ‘Floyd’s main concern has become keeping that 0 (for zero losses) on his record. I don’t see him taking any real risk of losing that before the end of next year, when he says he’s retiring. 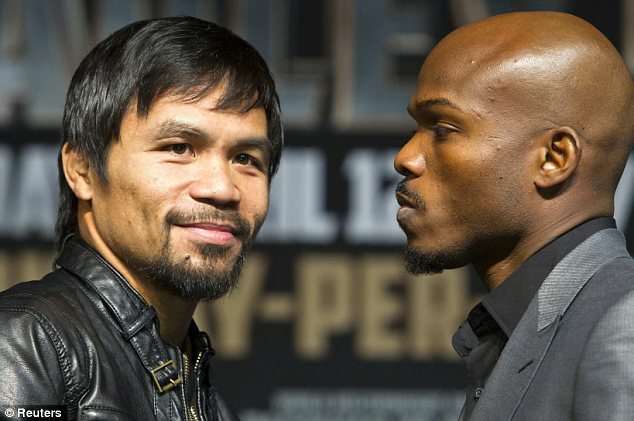 ‘It’s not that he’s afraid of Manny. No fighters are scared of anybody in the world. It’s just that he believes if he goes out undefeated he will be seen as better than greats like Sugar Ray Robinson, who had losses on their records. ‘Manny and Floyd should have happened a couple of years ago when both were in their prime. I think Mayweather wanted the fight then. Later when we put them on the phone together Floyd said he wanted blood testing and 60 per cent of the money. The failure to make the super-fight happen has been blamed by some on the long-running feud between rival promoters Bob Arum (Pacquiao) and Golden Boy (Mayweather). But Roach said: ‘Down the years, no matter what the issues, if two fighters really want to fight each other they maks it happen. Manny will fight anyone but Floyd is two years older and thinking about that record of his. 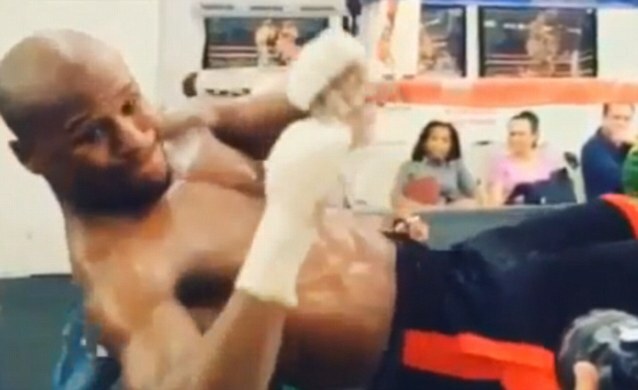 Mayweather follows Pacquiao into the MGM Grand Arena in Las Vegas next month, for the third bout in his $300 million six-fight contract with the Showtime cable TV network. Roach is unsurprised that he opted at the last moment to box Marcos Maidana rather than the young, fast Amir Khan and he expects Mayweather to make sensible choices for his final three fights, one in September and two next year. The last, outside chance for the prize-ring’s most climactic night of all hangs on Mayweather’s finale, when he hopes to equal Rocky Marciano’s record of retiring unbeaten after 49 fights. But he’s not holding his breath and says: ‘Down the years all the great fights which were supposed to happen did happen. Sometimes sooner, sometimes, usually because the fighters demanded it.